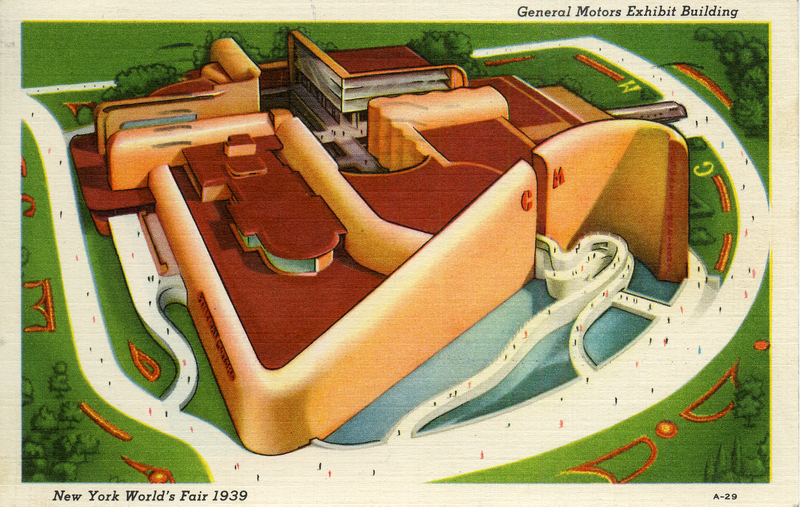 Martha Berry receives a postcard from a friend informing her that Ford General Motors had Berry students at their exhibit building at the World's Fair. 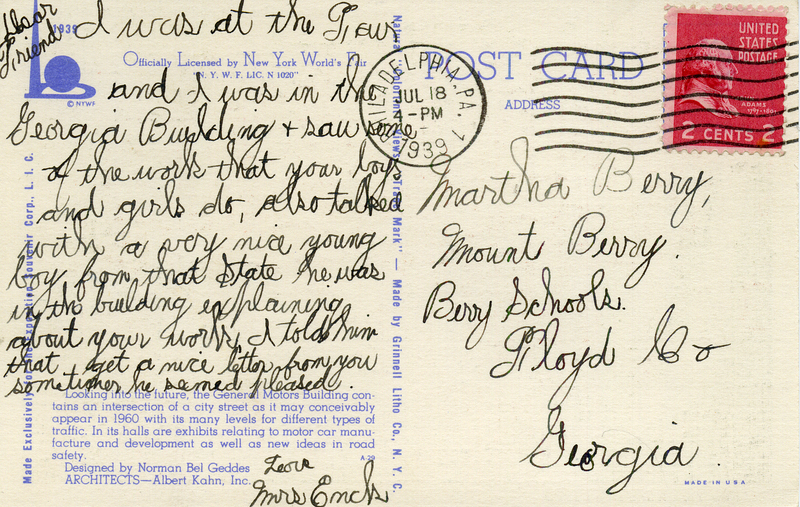 Mrs. Enck, “Postcard to Martha Berry from Mrs. Enck.” Martha Berry Digital Archive. Eds. Schlitz, Stephanie A., Allison Moore, Chloe Lombard, Jessica Hornbuckle, et al. Mount Berry: Berry College, 2016. accessed April 24, 2019, https://mbda.berry.edu/items/show/14751.